Finally managed to climb out of the hotel room after 48 hours of food poisoning. I think last time I checked in here I thought I was about to get some sun and be up and running. Well that lasted for about an hour and then I was out again. But yesterday I was finally starting to feel alive again. So we at least got some sun during the day by the pool for about 2 hours, so I’m not as tanned as I was hoping I’d be, so I need to really get to it my final two days. haha! But we got dressed and went to the restaurant and ate at least. It was absolutely beautiful and the food was amazing! Like really really good. We had dinner with the sunset, it was so peaceful. I really really enjoy this kind of privacy. I could pay any price for that. It always give me a very direct goal for my future. I want a very very big house with 100 acre lawn, that’s quite and all to myself, yet close to the neighbours. They just don’t need to be right next door staring into my house. Peacefulness is what luxury means to me. I feel so honoured that these amazing brand want to collaborate with me. It’s so fun to try and be creative with content. I am wanting to start to do more of it and really put my heart into it. I just need to find the time! Since my life is packed as it is with work, kids, renovating and friends, to be honest it doesn’t leave much time over. Its pretty much 20 min block to work. But I have decided to to set one morning every week to myself, where I have breakfast for an hour at a nice place where I can just be creative for me. Get inspired. Read the articles I want to read. Find inspiration for collaborations. Learn how to actually use my camera, those sort of things. I can’t wait. And maybe even have one inspiring breakfast every week with an interesting person that I can share my ideas with and evolve them into even greater things. So now, I just need to make and find the time for it. It’s a good start with a good watch. Sorry guys, I have been a bit MIA. I had a weekend that wasn’t too inspiring, since it pretty much rained all weekend in Stockholm- EW! Gives me even more excitement to be flying to sunnier places today!!!! The day is finally here. This weekend was spent choosing colors for all the rooms. I have found my calling- Barre. Being an old retired dancer myself, but miss using those muscles and miss feeling so powerful, this has finally taken me back. And BeCore have the best classes and Cecilia is absolutely amazing. The classes pass so quickly and I am even starting to get a flush red face from her classes (I do blame Maddox. hehe) . Anyways - here is a quick interior recap of my weekend if you are interested! What to do the other half of the Master Bedroom since it’s so freakin huge. What do you do in your bedroom? Dinning room table - Might keep the one we have now, since it goes so well with our kitchen. So you see, there is quite alot that needs to be done And alot g the things need to be ordered pretty much ASAP if it should be all set for us to move in on 17 May when the renovation is done. This is what I am planning to make my bathroom look like since it’s pretty similar to what it looks today. Just a little bigger. We already have a bath like that. So we are tiling the rest of the bathroom and coloring the walls white. We got this cabinet in a size smaller. And bought the shower tap and the sink tap in gold. I want to tile the floors as well, since they were so boring now. But I didn’t want just black, mostly because I found it to feel a bit boxy. But I didn’t want morrocan tiles, so I actually ended up finding these exactly the same ones from Kakelgiganter. Which I would to be perrrrrrfect! 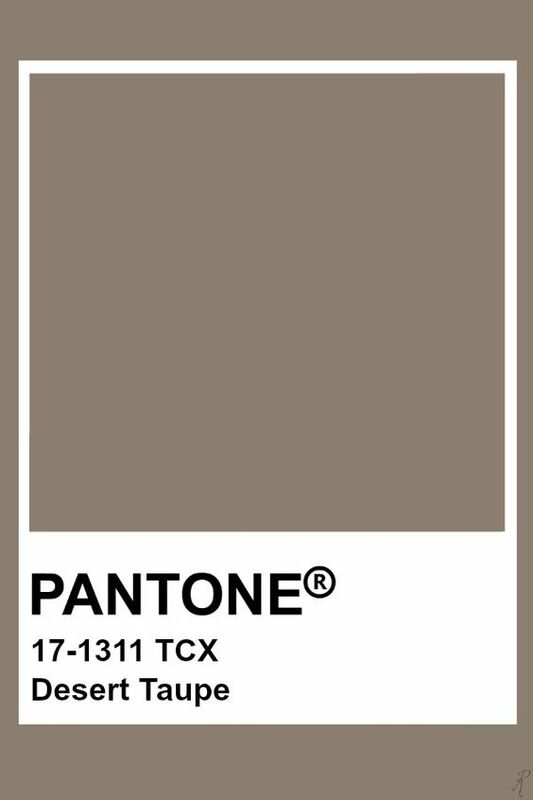 Here are the colors we have chosen for the apartment. 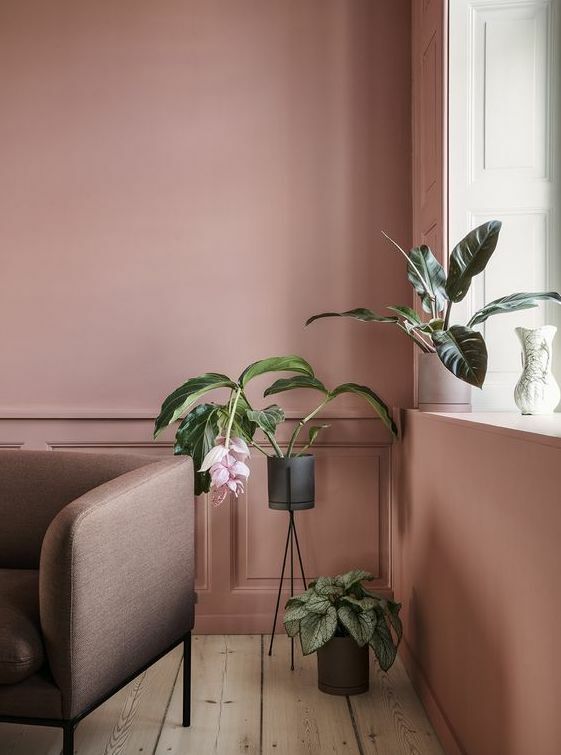 I want to make the living room in dusty pink and monochromatic. Like the picture below. and I think I found the exact one. Then this for the bedroom. I want it to have this proper hotel feel to it. I have found the curtains, now I need to find the carpet to go with it. Then I am thinking this for the living room lamp, since I think it will go perfectly with the kitchen. It’s massive, so it’s a good think my ceiling is hight enough for it. I am thinking to have these on the bedside tables and hanging beside the bed. Because I have decided I don’t want it to be symmetrical. 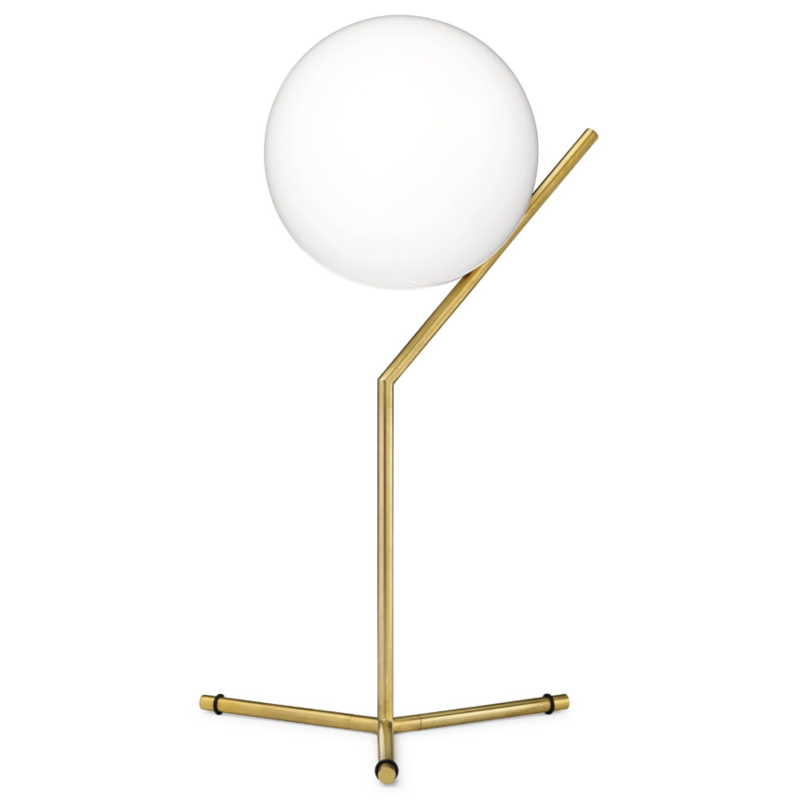 I love these lamps, they are so minimalistic, yet stylish and has their own attitude to them. Perfect to just have hanging here and there in the house. And this one in the hall. 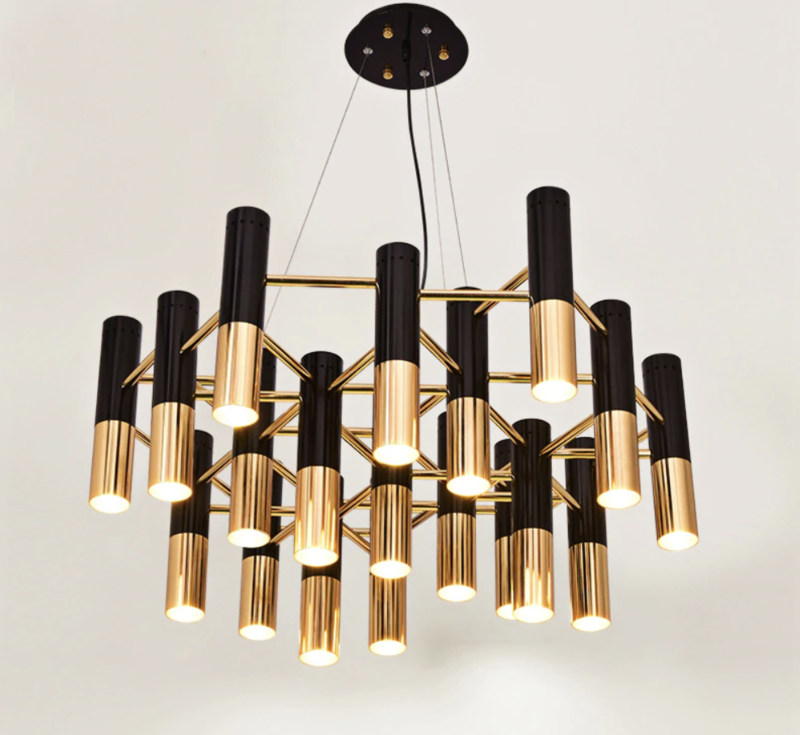 I want to big one with 50 lamps. Actually I think I need it because it’s quite a big hall as well. I know it’s a classic and a lot of people have it. But I still love it when it’s grande and I haven’t found anything quite like it. Today as I was getting ready to workout, I couldn’t find me regular training gear, so I jumped into some Nike gear I wore before I got pregnant. Haha, I thiiiiiink it’s time to give into the “maternity” strechier material, at least when it comes to training. Anyways! I am completely obsessed with Barre! It’s making me feel strong and powerful. Even though my body is getting more and more undefined everyday, I feel so strong. And I think it helps to work out, even if its just for 15 minutes or for 2 hours, doesn’t matter. It’s more about the feeling now, than the actual result. Or at least for me. I have a very strong core from the beginning as I have always been training alot. So I don’t really care if there are any results. The only thing I want to succeed with is getting through labor. That will be my marathon. And I dont think that will happen if I don’t feel powerful. So the more immobile I am getting, the more I am loving the small static movements and really the core inner muscles in my legs and arms and back. Results: I just got my result back. And it turns out that I don’t have what my mom has with premature births. They were scared since I have been having early contractions this early in the pregnancy, that I would have inherited the same thing she has. But I am over the moooon happy that I don’t! So now, its just up to me to keep Maddox in there for as long as I can! Status: The pains in my stomach however are gone. Unless I walk super quickly. This makes me extremely happy. Over all feeling: I am feeling very bloated and to be honest, I feel like a pale whale. I don’t care what people say that pregnant women are glowing and that they are beautiful. I have zero glow and it doesn’t matter how much I still train my arms and legs (since it’s the only body parts I can still train) they are becoming less and less defined and rounder and rounder. So I am going to say it’s because my bloated and not fat. This Friday I have my final check. Which i so crazy. He is arriving in 14 weeks! OMG…. I am obsessed with the dusty pink color. So it will definitely be a must for me in my new apartment. But that will be the only color in the entire room. Since the livingroom is massive and also has the kitchen connected to it, I want to keep it as minimalistic and edgy with classy details as possible. 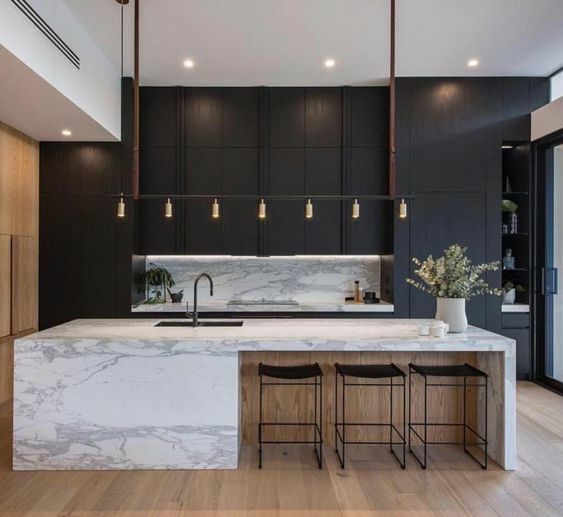 The kitchen will be all black with marble and very discrete gold details. The livingroom and the kitchen will be separated with a “kitchen island” which will also be in the same black and marble. We have a big round marble dining table already with black legs, so I think I am going to get the black Gubi chairs with gold legs. I have already ordered the Flor pistol lamp, it was love at first sight. And my extremely longed for Lee Broom lamp. You have no idea how many years I have wanted that for my livingroom/kitchen. And in 6 weeks, it will be mine. Probably the most expensive piece of furniture I own, but so worth it. Who needs to eat for the next 6 months? haha. And now I am dying for the armchair from Gubi. Maybe I need to hold out to my birthday. hehe. We are also making these stuccoed along the entire wall in the same color as the wall. Do you think I should color the ceiling as well? Since it’s 3,5 m high, its not gonna feel crammed. The room is extremely spacious. extremely. and very high ceiling. I think I would love the monochromatic feel to it. But I am still trying to decide. First out from Sthlm Blvd is this amazing beige/yellow suit from J.Lindberg. I absolutely adore it. But I think I love these sneakers more though. They are everything I have been looking for. They are chucky but extremely light and kind of thin, not like chunky broad like the Balenciaga ones that have been popular for a year now. These are life. My situation as we speak. Waking up to little snores to this little man every second morning and getting to cuddle with him before jumping into the shower to attack the day really is the best part of all my days. This is Marley. He is Oscars son. I have known him from his first breathing moment and I have adored him for months before that. I know that Maddox will be my first born son and yes, he will be the grandest part of my life because he is “mine”. But I don’t think love works that way. Love can be unconditional without having to be connected through DNA. Just like you unconditionally start to love a partner. I unconditional learn and grow together with Marley and Loui every day. They are no longer just Oscar’s kids. They are mine. and they have grown to become my everything together with Oscar. I can slowly start seeing parts of my personality in them already. Believe it or not. I just wanted that said here 6 am. haha. All you moms out there totally get what I am talking about and all you non-moms probably think this was the most boring post ever. But that’s life, you’ll get what I’m talking about eventually. What a beautiful cover photo (unfortunately it was the best one out of the three they suggested…. haha) But here is a quick quick little video of my upcoming collaborations with some of my favorite brands! Maddox and I finally got to head home on Friday evening. And we slept for 14 hours!!! that’s more than I have ever slept in my entire life. Like literally. On Saturday we got up, and I decided to have no plans. I didn’t want to spend anytime with anyone, I just wanted to take one minute at a time. I decided to go and do some retail therapy. Haha… I am in love with these boots and the sneakers. You know, it’s dangerous to leave me alone over a weekend… But the day went fast and in the evening was spent buying a bunch of stuff for the new apartment. Moodboards coming up!!! 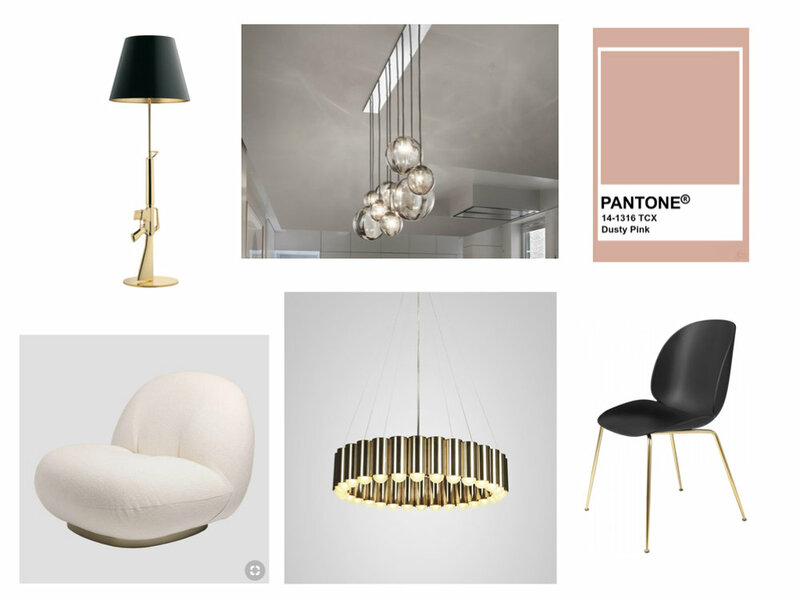 I need your help helping me decide which lamp to get in the living room over the dining table. This is my frist collaboration out. ever! How fun is that? Just in time for my new apartment and our renovation! I have made a quick little video, mostly because I think it’s fun, and I really want to start making these short videos for you all, because there is only so much you will want to read and it’s always more fun to show you a little bit more about me and my life in short little snippets. Or what do you think? anyways! I have made a little video of why I think they collaboration was so much fun to do. So check it out if you have 2 minutes. So if you are renovating or just in the mood for a new mat, check out matt-tema.se💕💕💕💕💕💕💕💕 💕💕💕You will have 20% off until 17/3 with the code HELT20 in checkout. I am overly excited, because I have received so many requests now to do collaborations with alot of fun brands. And I am over the moon excited to do it! Not just because it’s always fun getting pretty pictures taken of yourself (hehe), but because I love being creative with these things. I mean I am creating brands for companies every day and have been doing so the past 6 years. And FINALLY, I am shooting for the starts with my own brand, Stina Force. I want to do things a bit different, and I am hoping I will put my edge to it. Because being creative is what I do. Anyways, these photos are taken by the lovely Caroline Rosencrantz for one of my collaborations. But these photos are just behind the scenes. The other one’s will come out tomorrow, and with a short little video (that I made just for fun to try it out). Ahhh I am so excited to start “vlogging”. But I think I will do that differently as well. haha so many ideas! 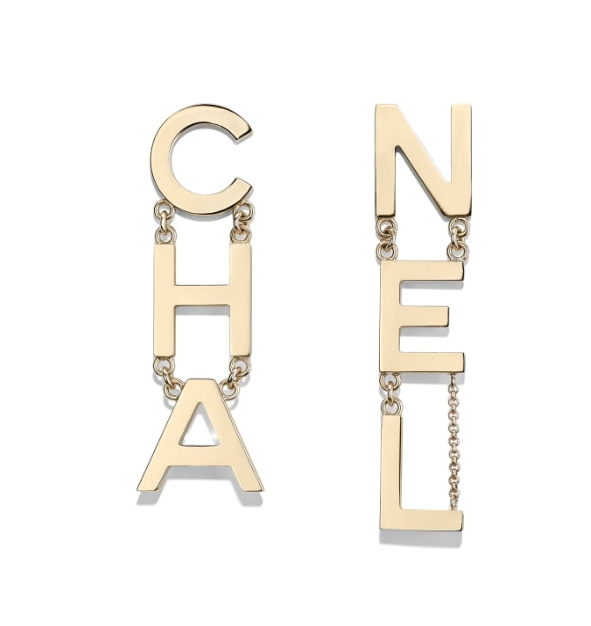 Well, if you know me, you know how obsessed I am with Chanel, but mostly their jewellery and I am slowly collecting it. And now this season- these arrived! I have the earrings (second pictures) with stones already, but these are so nice without to be able to wear on daily basis. And the brooch (first picture) is actually one I have been thinking about for a long time and hoping they would design and here we are, Karl’s second last collection and they made it!!! How amazing is that. hehe. and last but not least - that belt. Need I say more? I got a few emails about the sneakers - here is a better photo of them! They are from a brand called J.Lindeberg and you can get them at Sthlm Blvd in Mood here in Stockholm. Today at lunch I had to go maternity clothes hunting. and to tell you the truth- there is nothing out there!!!! Why haven’t we been able to crack nice looking maternity clothes? Everyone is pregnant. And there will always be pregnant women, for as long as the earth is turning. So, how hard can it be? All I want is to still look good while I’m pregnant. So I gave up and headed to Sthlm Blvd in Mood. I am obsessed with jumpsuits this season and guess what! I CAN STILL WEAR THEM!!! this one is from the brand Hope. I love it. And these sneakers are to diiiiiiiiie for. I have really been searching for chunky sneakers. They are from J.Lindeberg. Love love love. Anyways- pregnant or not - I would get this jumpsuit! Yea so we realised that after these intense months and the intense month coming up, we need a “babymoon” to gain some strength and actually enjoy this pregnancy. My only requirement: SUN. and a tan. haha. Since I cant fly longer than 6 hours at this stage, and I wanted to go to a place that gives me proper 25-30 degree sun and not 19-21 degrees, but only 6 hours away in March, we ended up in Dubai! So in less than two weeks we are off to Dubai for a week of tanning, relaxing and just enjoying each other! I couldn’t feel happier and more ready for sun. We finally found our apartment. And it is exactly what we wanted. It’s in the city, right by stureplan. It’s big! Can fit the whole family. It has beautiful ceilings and balcony and all that other needed stuff. So we are happy! And the most fun part of all! I am remaking pretty much everything. So you get to be apart of the journey! I am sooooo excited!!! Especially because we will be living here now for 2-3 years, so we can actually make it our home. It was the plan for our apartment we live in now, but since the family is growing faster than expected, we need more space. So after just 6 months we are kissing the apartment goodbye! So this time around, I can’t wait to put that Stina flavour to it. I’ll show you my moodboards a bit later. Because of course I have already done them all! We get the keys May 3. And then we move in 2 weeks later when the renovation is done. Sooooo very little time left! and loads to do! Keep you posted! It’s official. I’m slowly becoming a whale. I haven’t checked how much I weight this week. But my belly has grown ALOT. Crazy amount this weekend. What scares me is that I have 3,5 months left. 3,5 months more of growing!!! I will become massive. Next week I am going to the baby doctor and they will probably fall off the chair since last time I was there I didn’t have a belly at all. And they kept saying how small I was. Now, they will probably say otherwise. hahaha- WOW! You’re massive. You’ll have a big baby. Haha I’m joking.